Willem De Looper (1932 – 2009), born in Hague, Netherlands, was fascinated at a young age by American publications, most notably The New Yorker. Articles on culture, music, advertising and arts inspired him to join his brother in Washington DC in 1950. De Looper enrolled at American University to study business and economics, but soon switched majors to study fine art. Following graduation in 1957, de Looper served two years in the army stationed in Germany. He returned to Washington DC in 1959 and began working as a museum guard at the Phillips Collection. 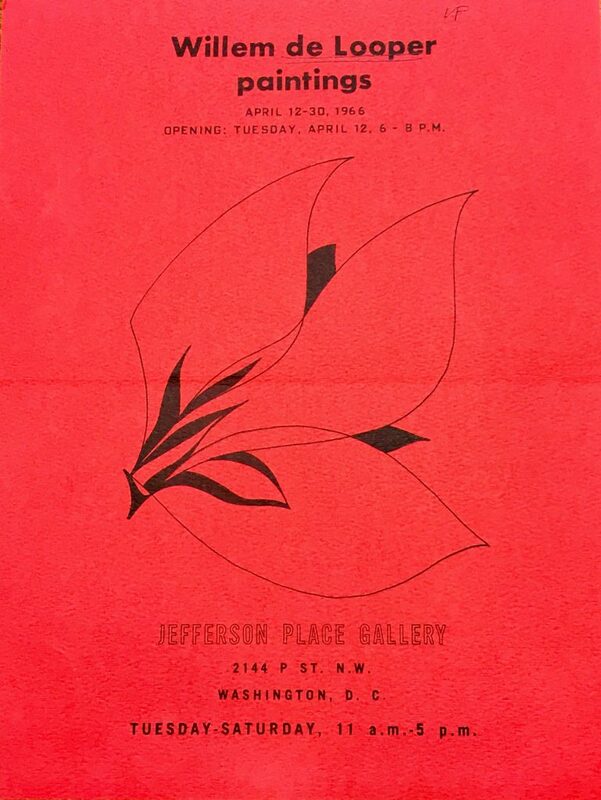 While at the museum he was able to enjoy works by many of the artists he admired, such as Paul Klee, John Marin, and Arthur Dove. 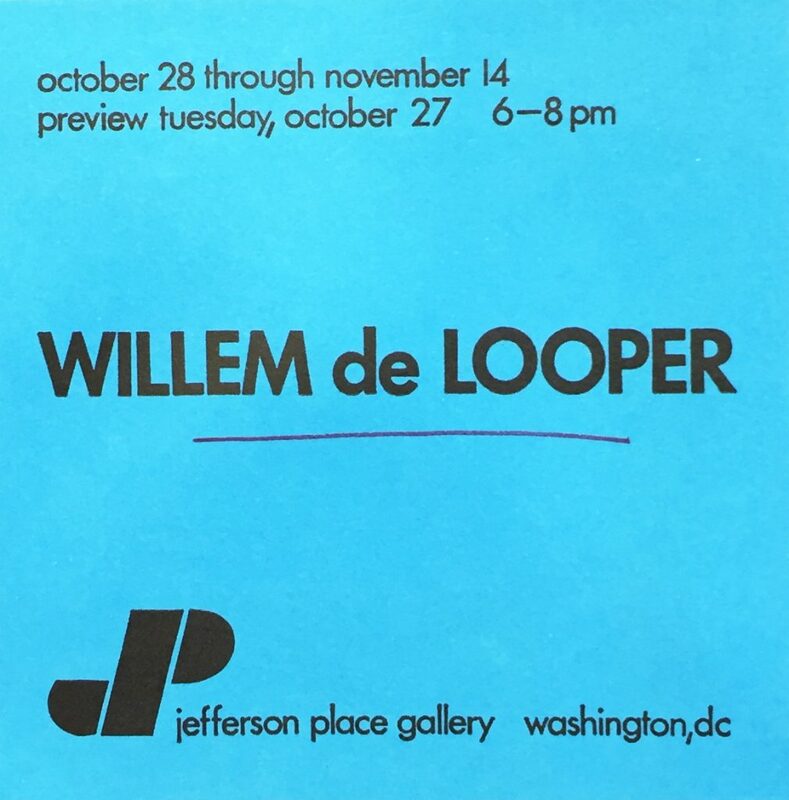 De Looper continued pursuing his career as an artist while working at the Philips Collection. He advanced professionally to become the assistant curator at the Phillips in 1972, which led to his position as chief curator at the museum. While de Looper is most closely associated with the Washington Color School, he exhibited a distinct and unique process of painting throughout his career. In the late 1960s and early 1970s, de Looper eschewed graphic gesture and flooded his canvases with layer after layer of dramatically thinned acrylic paint, presenting atmospheric imagery without any reference beyond a purely visual experience. His work throughout the 1970s is characterized by compositions of broad stripes in harmonizing colors and in the 1980s by a brilliant palette and freedom of gesture. 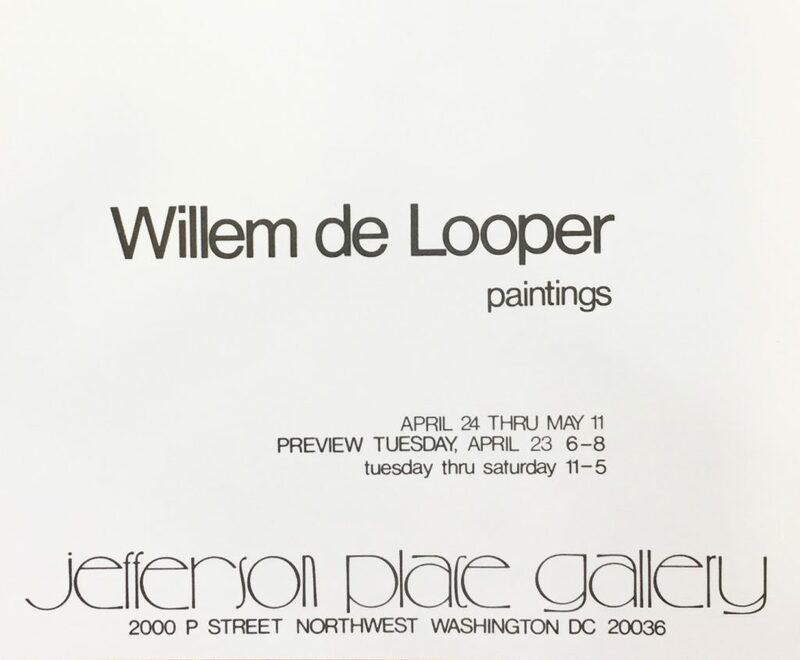 In 1966, de Looper had his first solo exhibition — at Jefferson Place Gallery, Washington, DC— home to other great artists of the Washington Color School. 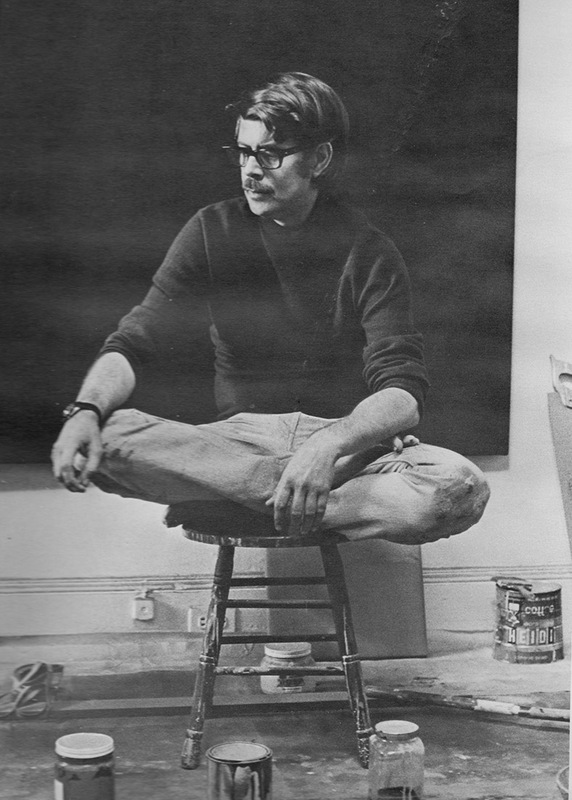 He continued to show at Jefferson Place Gallery for nearly a decade and has been exhibited and collected by many established museums such as The National Gallery of Art, The Phillips Collection, the Smithsonian American Art Museum, the Hirshorn Museum and Sculpture Garden and the Corcoran Gallery of Art. 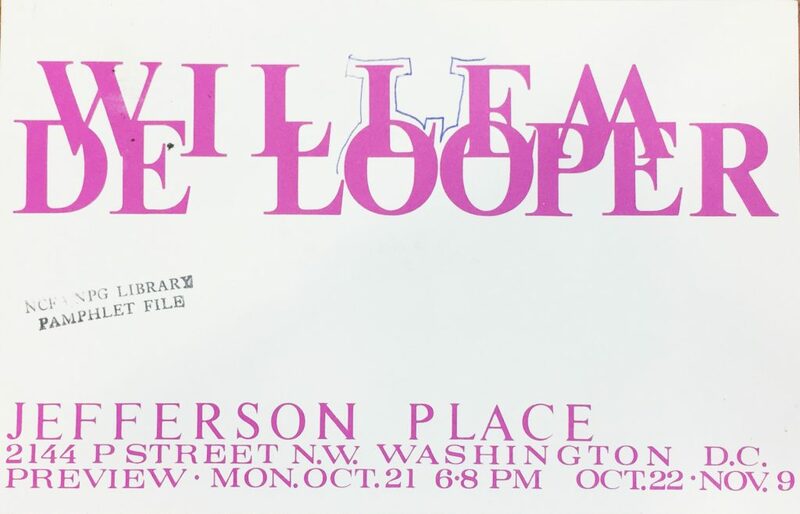 De Looper biography provided by Hemphill Fine Arts, Washington, D.C. It is time Washington recognized this highly individualistic work as worthy of high praise and support. The exhibition demonstrates that de Looper gradually is coming of age. He occupies a curious middle position in the scheme of Washington art, working within a tradition that is quite definitely this city’s, and yet working outside of it, too. De Looper’s is in fact an art of high risk taking place within the physical and intellectual limitations set by the rectangular canvas. He really seems less concerned with scale than with the specific given boundaries of the rectangular format. He shares with Gilliam a sensitivity to baroque movement, but does not share Gilliam’s intense and inventive concern with real space.